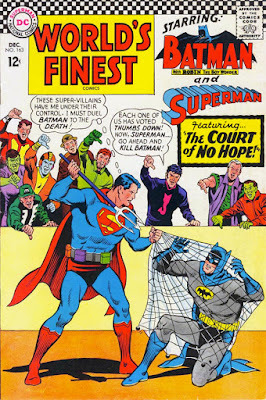 I won't waste your time with another review of Batman vs Superman. I think if you google a bit, you'll find one or two reviews online. Instead, let's talk about some of the questions that have popped up since the movie came out this weekend. 1) If the production cost for the movie was $250 million, then why does Batman vs Superman need $800 million to break even? I suspect it's because Time Warner is using the movie's "marketing costs" to cover the debt of other bad projects. 2) Did Disney pay critics to make bad reviews of the movie? There may have been a passive influence, but I think it's highly unlikely a full blown conspiracy was in the works. 3) Will the bad reviews cause Time Warner to take a different approach with the other movies? Possibly. Check out this article where James Wan, the director of Aquaman states his movie will have a lighter tone. 4) Finally, will this movie start a backlash against Rotten Tomatoes? Not likely. While people have accused the site of having reviews that seem to skew towards certain agendas, I think all will be forgiven by the time Civil War comes out, and fans will go back to using the RT scores to (wrongly) justify if a movie is good or not. Anyway, feel free to use the comments section to add your own questions! One of the common complaints from older comic fans is that the direct sales comics market has deprived kids of the experience picking up comics from a spinner rack. 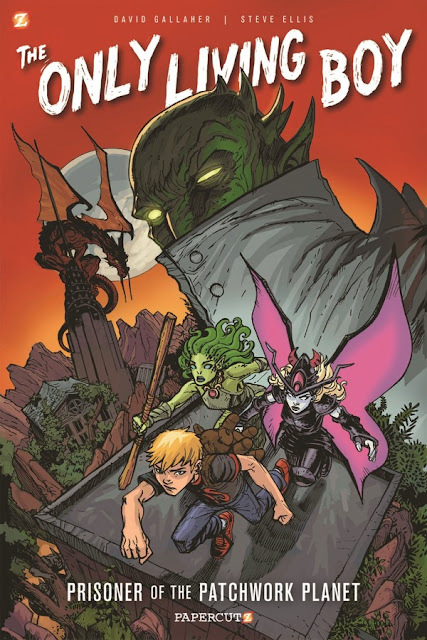 This is usually accompanied by some back and forth about how there are no kids comics any more. 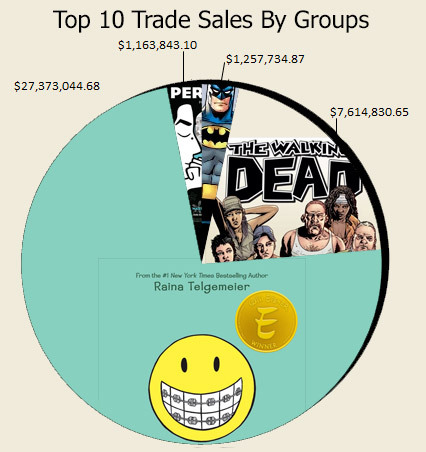 However, Comic Book Resources writer Brian Hibbs posted a report on the 2015 Bookscan numbers that shows that kids comics (in the form of graphic novels) are actually outselling traditional superhero trades! Below, I've made a graph that tell the tale. Yep, that blue area is the sales of All Ages books in the the Top 20. Below are the actual figures. 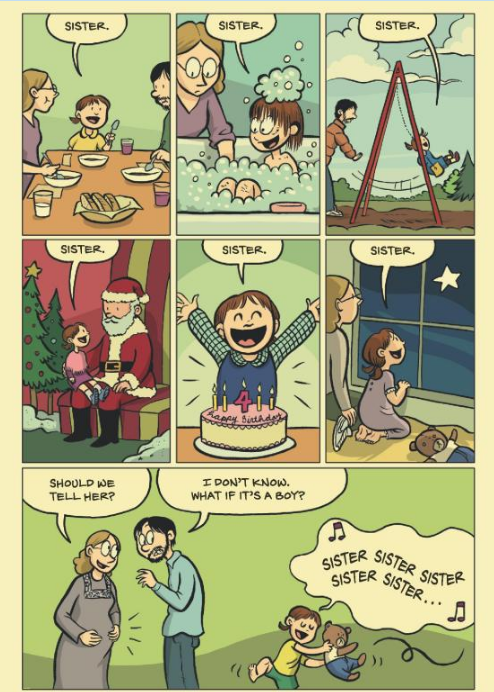 I've highlighted the All-Ages material. 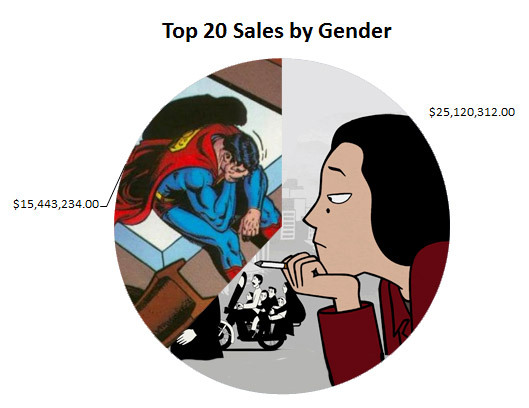 What's also interesting is the gender makeup of the Top 20 Sales leaders. 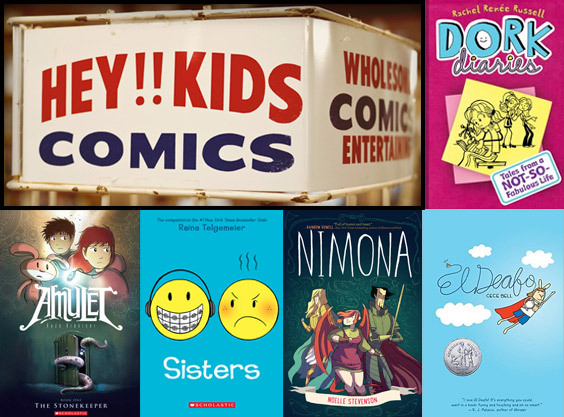 While we often read about how there is a lack of diversity in the big Two comic companies (and the industry at large I suspect), there is no denying that the All-Ages book market is playing by different rules. Check out this graph. What's most interesting is that while this list is made of up book store numbers, my daughter and her friends get their books straight from their school at bi-monthly book fairs. The kids take the sheet home, show their parents what books they want. The parents can then send a check back with the form for the books they've agreed on. A few weeks later the books show up at the school. Now, that's a direct market! So, if you're one of those people looking for something cool to share with your kids, I would definitely encourage you to check out the first book! 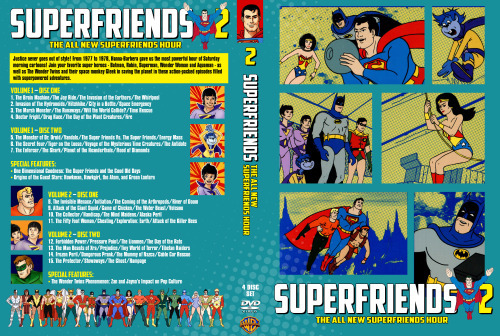 Over at the Back Issue facebook group, Bill Walko presented his amazing custom Superfriends DVD covers. Bill said he thought the packaging and labeling of the DVDs as they were originally created was inconsistent, so he felt like they needed a redesign. I think he did an awesome job! 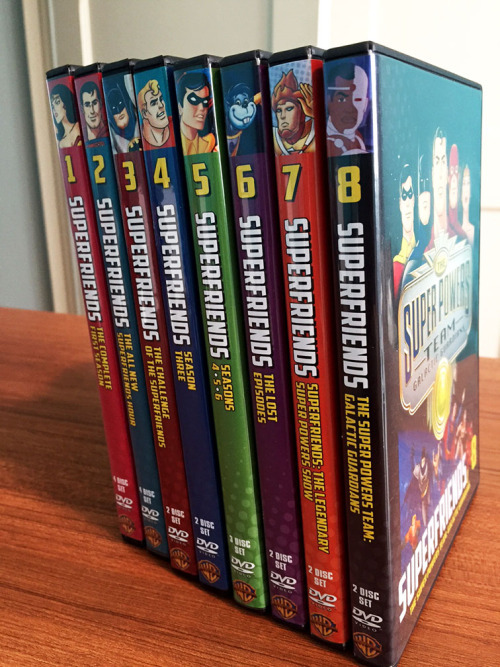 In the comments of the facebook post, Scott Simmons alerted me to this video that talks about the DVDs. Check it out! I always enjoy seeing people redesign stuff, so if you know of any more instances like these, feel free to post them in the comments!